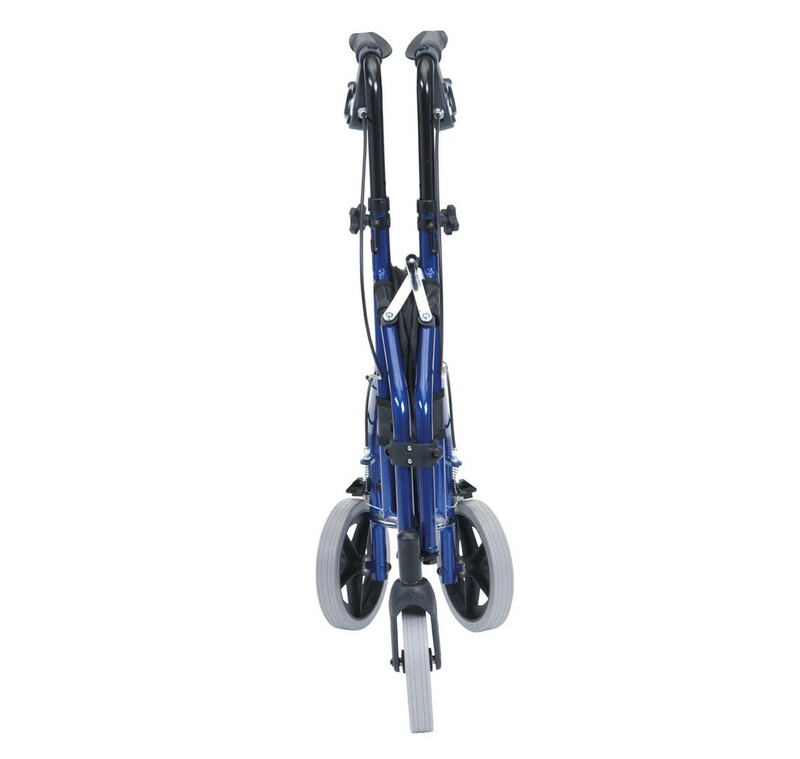 This walking aid was developed to keep its weight to an absolute minimum whilst still providing the features and benefits associated with an indoor/outdoor tri-walker of this class. 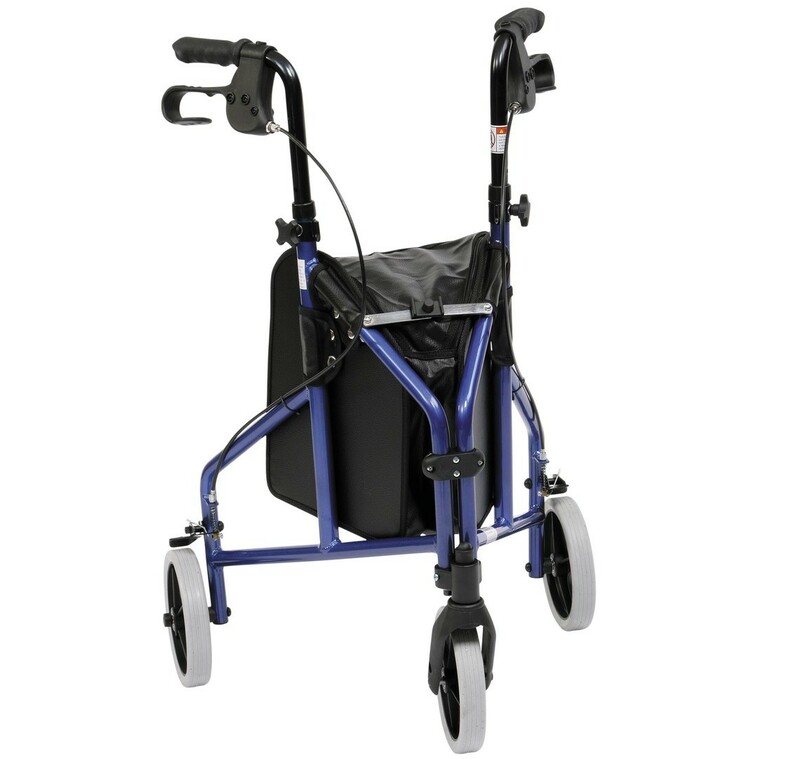 Lightweight solid 7" wheels for indoor or outdoor use. Comes standard with vinyl bag. Arthritic friendly loop lock brakes. 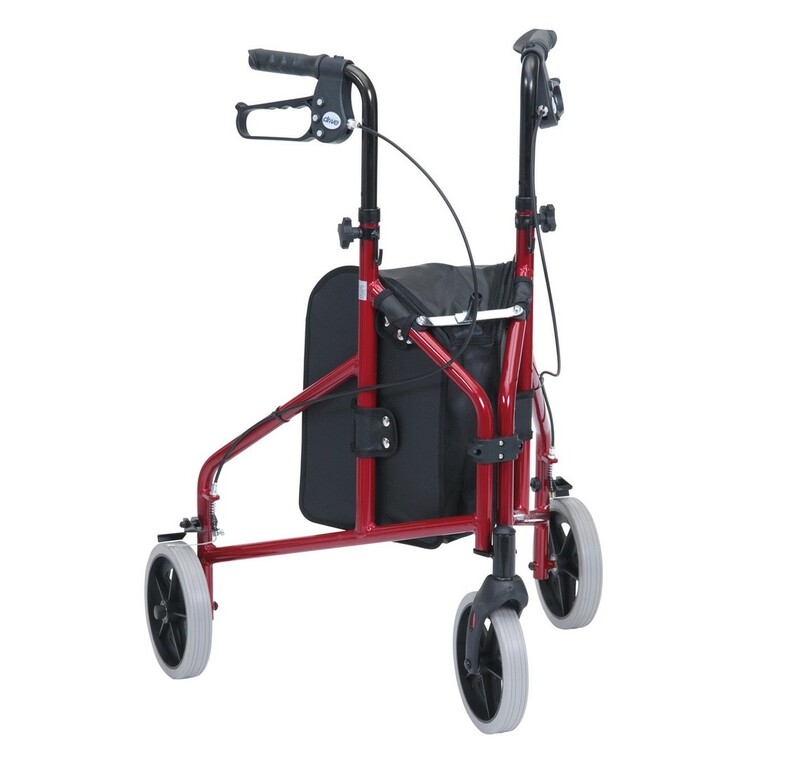 Handles are adjustable in height. Easy, one hand folding.